In the ongoing struggle between users wanting free services and developers trying to eat, Pushbullet has emerged as the heel. Today’s addition by subtraction — introducing a Pro tier that has features sniped from the free version — is in poor taste. Not only did Pushbullet throttle existing users, but it’s asking for $5 per month or $40 per year. This is a bolder bet than Doyle Brunson going all in while holding ten-deuce, except that Brunson knew he was against the wall all along. He came out on top. Pushbullet doesn’t seem to understand as much, and seems to be fading fast. Judging by the feedback on Pushbullet’s announcement and on Reddit, most users are simply dropping the service cold. The crux of their discontent seems to be core features like universal copy and paste now being hidden behind the paywall. Even if Pushbullet walked this back and admitted defeat, the damage is done. I’ll point to other recent monetization strategies as more fan-friendly. Overcast 2 and Castro both gave away features and asked for fans to support them as they could. It ruffled feathers, but it’s also a happy medium most can live with. Overcast and Castro had the pleasure of following David Smith’s Pedometer++ down the ‘if you can help, please do’ trail. The aforementioned step tracker has a tip jar; a cute way to let users give if they feel inclined. Patronage and Pedometer++’s tip jar are the same thing. You give what you can, and the world keeps spinning. In some ways, it’s better than paying for an app. In announcing his move to patronage, Overcast developer Marco Arment said only 20 percent of Overcast users were paying for the original app outright. That meant 80 percent were using an “inferior” app with less features. Patronage isn’t popular because it’s out-of-pocket spending. It works because it’s not mandatory. By offering the ability to let users donate rather than force them to, patronage strikes a happy medium. Pushbullet went full-throttle, though. It seems as though it expected users to pay for features they relied on rather than offering more value. More to the point, Pushbullet expected users to pay what it expected of them to continue using it as they normally do. Android Central’s Phil Nickinson calls it a shakedown. He’s not wrong. Where Pushbullet erred wasn’t with monetizing the service; it was in demanding ransom. Users are often glib about their love of a platform or app, and Pushbullet seemed to think it had won the hearts and minds of its fans. Pining through the comments, it seems the price point was a bit out of reach. Had Pushbullet asked for $1 per month or something a bit more attractive, it would have been met with some resistance, but not the blowback it’s seeing today. 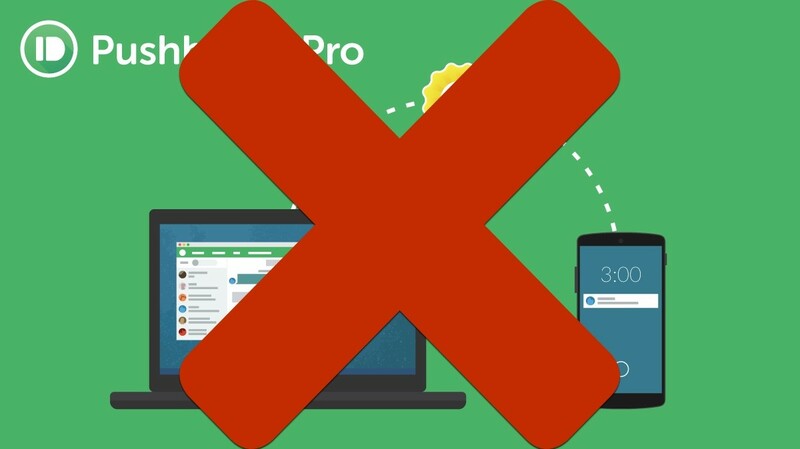 Pushbullet pushed many users away. Likely for good. Even if it chose to rethink their strategy, some users won’t care. Many are pointing to comments Pushbullet’s creator made two years ago as evidence he’s not trustworthy. Developers should take a knee and pay close attention to Pushbullet right now. You can monetize anything so long as it makes sense for the user. Had Pushbullet rolled out a killer new feature and asked for a fee to use it, nobody would have balked. Users should also wrap their heads around this. You can’t use a service for free and expect the company to never monetize. It’s just flawed logic.